Low stress leads to the high quality of the 100% grassfed EU Brangus cattle produced by Goondicum Pastoral Co. Brangus bulls and their offspring have thrived in Goondicum Station’s favourable conditions since being introduced in the late 1990s. There’s no need for growth hormones. Stress unquestionably affects the quality of beef produced and Goondicum operates on the basis that working and mustering cattle ‘takes as long as it takes’. Patient staff operate under clear guidelines regarding handling, yard-working and loading. Noise levels are key to keeping cattle stress-free so there are no motorbikes, barking dogs or helicopters used in mustering. Freight providers load at the animals’ pace and ensure smooth transport. 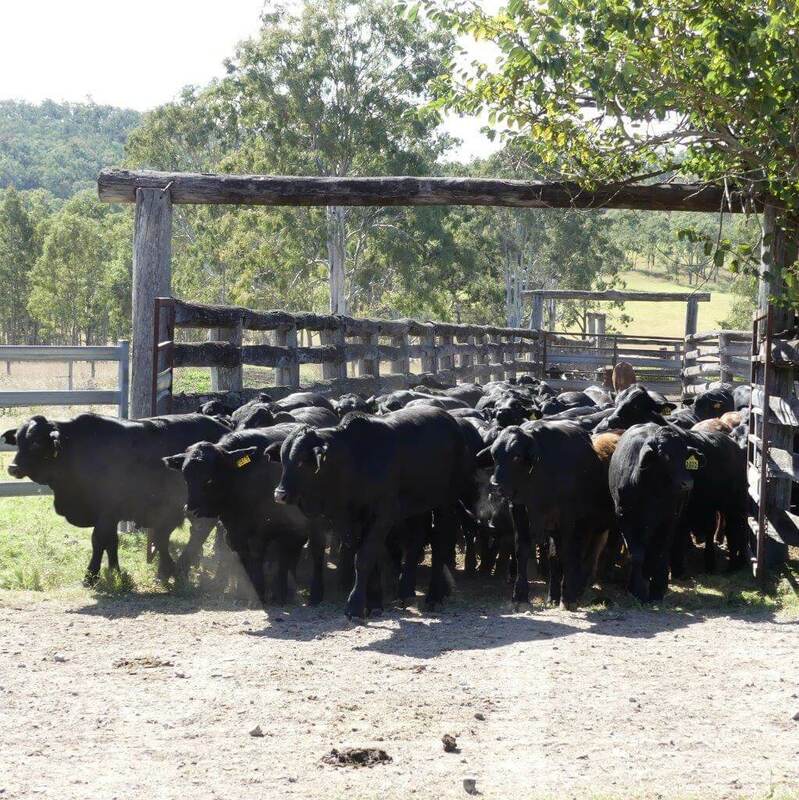 For the past five years Goondicum Pastoral has been sending their EU-accredited Brangus heifers to the Commercial Female Brangus Sale at CQLX Gracemere. These cattle are a sought-after item that, year in and year out, meet with strong demand that is reflected in the prices they achieve. This is due to a combination of factors, including their temperament, composition and quality. These traits are a credit to Robert and Nadia and a result of the quality of the country in which they are raised and the way they are handled. 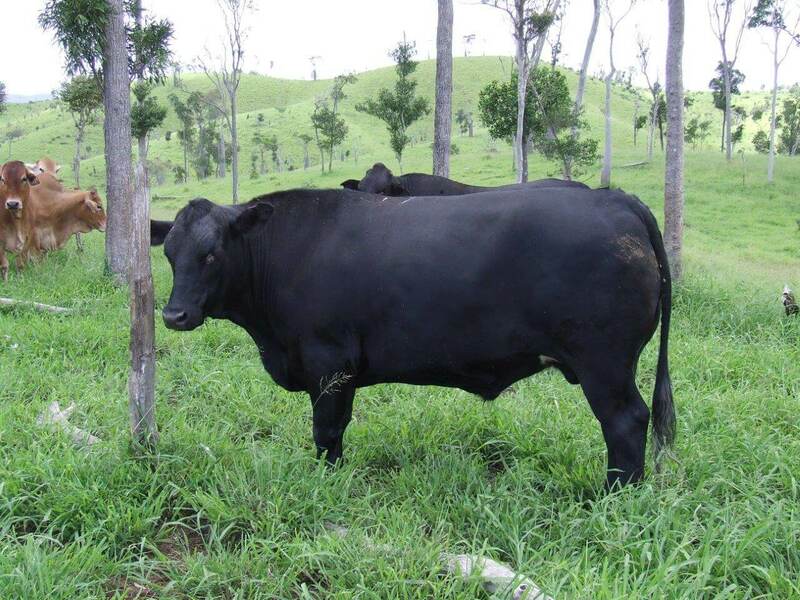 Goondicum Pastoral Co’s breeding process has developed over generations of raising high-quality cattle. After weaning, Five Steps to Contented Cattle Page, cattle are drafted into their groups for fattening and breeding. Steers are moved first into paddocks and then to fattening country for some years before being finished for the EU market. 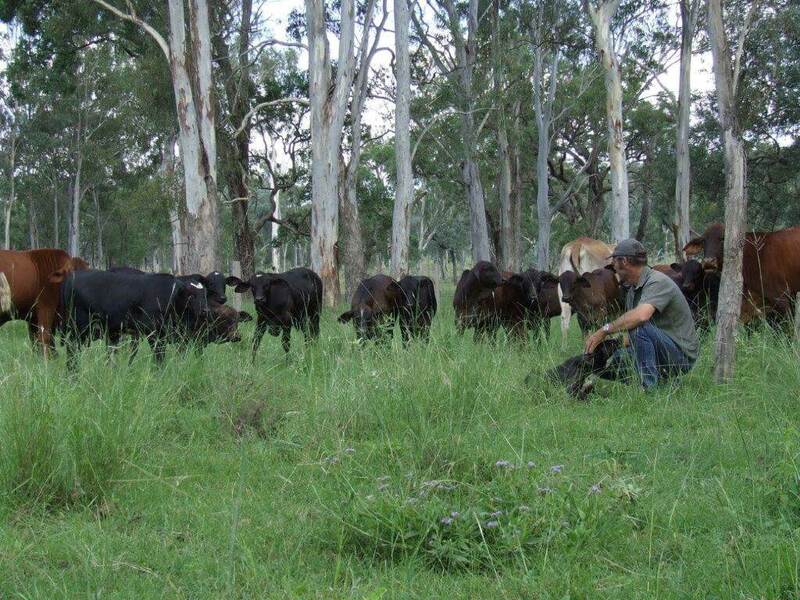 In dry times, we sell some steers to conserve good-quality feed in our paddocks for the rest of the herd. All EU-accredited cattle are sold directly to meatworks. Heifers are moved to fresh paddocks of grass to promote their growth. Before winter, young heifers return to the yards, where we select the highest-quality animals for breeding. These heifers are returned to the paddocks until they reach a suitable breeding age. Non-breeding heifers continue to be fattened on our own grass and eventually sold for the EU market. Goondicum’s breeding regime involves a strictly controlled program in which top-notch Brangus bulls are placed in the paddocks with the breeders in November and taken out in March. This ensures calves are born before Christmas, and embark on their first months in the world in the warmer months, not during the cold winters we experience at Goondicum. This reduces stress on both mother cow and her calf. Cows are preg-tested in July and August by our experienced veterinarian. Most of our breeding cows remain on Goondicum for up to 12 years providing their temperament and health is maintained, so they’re free to roam in open paddocks with their young. Some cows spend those 12 years alongside others they met as young weaners in the yards. The bond these ‘mates’ establish over time is truly a lovely thing to observe.